In addition to organising the operation of endoscopic centres, our company has joined the distributors of endoscopic accessories in Hungary. OMCH Kft. cooperating with Wilson Instruments Co. Ltd. has been distributing the products of Wilson company since September 2009. Wilson company has several years of experience in manufacturing accessories for endoscopy. Its high-quality products have been marketed under the brand name Heyinovo with great success both in America and Europe. In October 2010, we concluded a contract with the company BlueNeem Medical Devices Pvt. 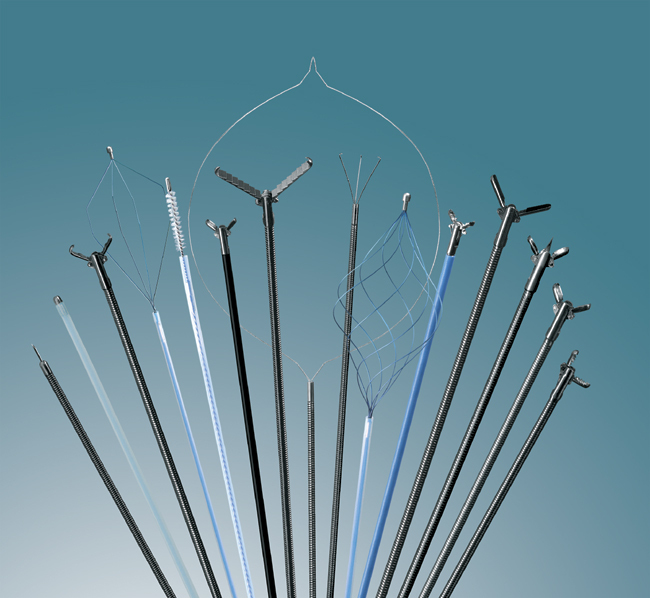 Ltd. that distributes biliary, urological and radiological stents, catheters and needles. These top quality products are widely used by our partners to their great satisfaction. Endoscopic product range offered by us has been extended with accessories distributed by Jiuhong Medical Inst. company (dilation balloons, guidewires, stone extraction balloon, etc.). Please, find the complete list of accessories here. Ask for a quote or place an order at the contacts listed below.